By Spencer. As a music blogger, there’s no better time of year than now. Ranking the year’s best releases isn’t just an exercise in appreciating greatness; it’s food for argument. So expect plenty of that as our S&N contributors use the next few weeks to rank their favorite music of 2014. The comments section will no doubt be heated! If you read my 2013 list over at After The Radio, you know I was less than impressed with last year’s output. My principal complaint? In a year of many good albums, there were no great ones. I’m happy to report that 2014 did not follow that trend. My top five albums this year were each perfect from start to finish. 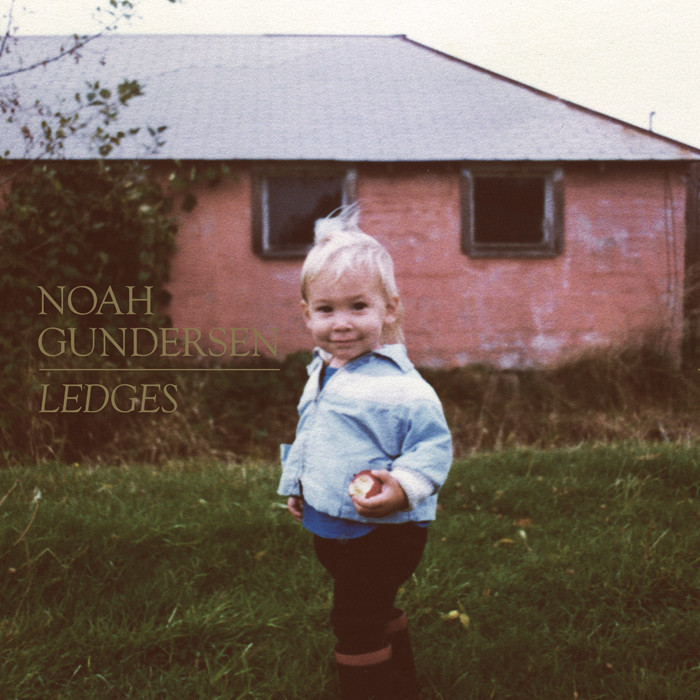 I’ve already sung the praises of Noah Gundersen‘s breakthrough, Ledges. After a year of listening to this album, my opinion of it hasn’t dimmed in the least. It’s songwriting perfection in an age where actual songs typically take a backseat to vibe. From the opening a capella bars of “Poor Man’s Son” to the driving roots rock of “Boathouse” to the bitter sadness of “Last Defeat,” every song is steeped in soul. What you hear is the sound of a desperate young songwriter leaving it all on the table—just in case this is the last music he’ll ever get to release. Listening to the result, I doubt that will be the case. I never understood the appeal of St. Vincent before. But between this year’s amazing self-titled release and her live show at the 9:30 Club in February, consider me a convert. How do you categorize music so sprawling as this? Is it rock? Pop? Metal? Funk? The correct answer is, all of the above. But while it lacks none of the trademark weirdness of Annie Clark’s earlier work, St. Vincent supplements all that with hooks and melodies that make it instantly accessible. It’s a huge step forward. At the risk of turning S&N into a Ryan Adams fansite, it should be no surprise that his self-titled slice of rock heaven comes in at #3. These songs just don’t get old for me. Adams does nothing here that I would say is artistically adventurous—but dammit, it’s just too much fun to care. The Ryan Adams discography dwarfs everyone not named Dylan or Corgan at this point, but if anyone ever asks me to recommend just one Ryan Adams album as an introduction … well, I’d still go with Heartbreaker or Gold. But this one’s very much in the conversation. And to achieve something like that thirteen albums into your career is a rare accomplishment. Sturgill Simpson might have released the year’s oddest album. The cover art gives you the impression that this is all some ironic hipster joke. But underneath that is a reawakening of authentic country & western music that would make Waylon Jennings proud. Full of attitude and esotericism, give this one a listen if you’ve been craving a meaningful alternative to that Nashville crap that passes for “country” these days. As a session guitarist, Blake Mills has collaborated with the likes of Jenny Lewis, Band Of Horses, Norah Jones, Lana Del Rey, Julian Casablancas, Lucinda Williams, and the Avett Brothers. But his second LP, Heigh Ho, should establish him as a star on equal footing with some of those names. Intimate, unconventional, and just damn beautiful, Mills steps out of the background and into the spotlight in a big way with this stunning record. Rounding out the rest of the list, Glass Animals might have single-handedly created the genre of nighttime jungle pop (if that makes any sense) on their debut album, ZABA. U2‘s Songs Of Innocence, once you get past the marketing gimmick, was their finest work in over a decade. (Sure, it was a little ridiculous for Rolling Stone to rank them #1 this year, but don’t penalize U2 for that). Coldplay returned to form with Ghost Stories, an album that almost makes amends for the horribleness of Mylo Xyloto—almost. Longtime favorite Angus & Julia Stone took a more pop-oriented approach with their latest, but the album’s second half is enjoyably dark and quirky. Lana Del Rey‘s sophomore effort, while it retreads tired ground at times, has enough flashes of greatness in its first half to suggest a thoughtful future for an artist who should have been a flash-in-the-pan fad. Elbow just might be the most underappreciated band in Brit rock, but The Take Off And Landing Of Everything continues their streak of quality. Mirah, another long unappreciated gem, sounds like an edgier version of Feist, and Changing Light gave us another dependable batch of her deceptively complex songwriting. Caribou continues to make electronic music that out-thinks and out-emotes the work of the genre’s lazier contemporaries. Winterpills have been quietly flying under the radar for close to a decade now, but this year’s Echolalia makes you question why; the songs are flecked with touches of The Byrds, Simon & Garfunkel, and Elliott Smith, but with a modern flair. And Sharon Van Etten, whose previous work was a bit too dull to justify the hype, woke me right back up with this year’s Are We There, blending searing lyrics with a more compelling attention to production. To hear some favorite tracks from these albums, download S&N Mix 9: Spencer’s Best Of 2014. Looks like I have some research to do, like who the hell are Winterpills?!?! I dig the Mirah rank – I think she was overlooked a lot this year. Sturgill too, that was a refreshing album. I know I am in the minority here, but I can’t stand Coldplay or U2. In fact, if Coldplay and U2 had a baby, I would name it Nickelback. Actually, maybe the punchline would be better with something like neither band can reproduce because they are too self absorbed to mate. Thanks again for sharing and offering me some new tunes to catch-up on. Musically December is my favorite time of year, it’s where I get to listen to all the good music I let slip through the cracks. I know, Winterpills caught me by surprise too! Mirah seems to be constantly overlooked — this isn’t the first year I’ve seen her conspicuously absent from year-end lists. As for U2 and Coldplay, I clearly fall somewhere in the middle on them. I don’t love them like I did at their peak (or as much as Rolling Stone did, apparently), and in fact gave both albums on this site somewhat middling reviews. But I kept coming back to those albums throughout the year, and they each had some memorable songs. I ended up deciding they were better than I initially gave them credit for. Hope to hear your list, too, Chris. Feel free to submit to the site or just leave your thoughts in one of the comments pages. Lists from Antony and Mark are coming up soon too, I believe. Very cool. Our lists won’t have too much overlap. Certainly Noah Gundersen is on there though. Great album. I fundamentally don’t understand the St Vincent, but it keeps appearing high up on lists…maybe I have no taste. You’re not the first to say that about St. Vincent. Like I said, I myself never got the appeal until this year. I think this album is much more listenable, at the same time that it’s also more experimental. Very few artists manage that combination. And as so often happens, the live show creates a stronger affection for the album after the fact. That’s how I explain my conversion, but I certainly get that she’s a little too out there for some people. Spencer, great list, but what, no Courtney Barnett? She makes me delightfully uncomfortable. Hendricks, “In fact, if Coldplay and U2 had a baby, I would name it Nickelback.” I have felt that way for so long, but I never knew how to express it until now. Thank you. You know, I haven’t heard the Courtney Barnett album, but you’re probably the third person in the last month or so who has brought it up in conversation with me, so I clearly need to check it out! Sharon Van Etten and Sturgill Simpson are the only two on my list here. I enjoy these lists so I need to break my apathy and actually write something. Need to check some of these out especially Elbow (I’m surprised I haven’t gotten into it) and Winter Pills (never heard them). Yes, please let us know your picks, Biff. And on the topic of Sturgill Simpson, I’m glad it’s picking up such universal love. Being from Texas and being raised on this stuff, I was worried only I would get it. I love the discussion of these lists, and am so thankful for this honest music community! This list gives me so much to explore and I’m so excited. I’m so with you on Noah Gundersen, and the rest of your list is either new to me or… interesting to me. By this I mean St Vincent, who I also still fail to understand. She has always been to me like that super fancy craft beer that people pretend to like because they should by their hipster values. She is like the epitome of vinyl lovers to me. Not even sure if that makes sense. I’m surprised Lana Del Rey made your list, she pisses me off from a lyrical and live music stand point. Her performance on SNL was one of the worst live performances I have ever seen and I think I just haven’t forgiven her, and sort of want her to be a flash in the pan. Mirah keeps popping up for me, though I do not especially enjoy Feist. But I’m really stoked to check out Sturgill, Blake Mills, and Caribou! “In fact, if Coldplay and U2 had a baby, I would name it Nickelback.” This made me crack up and also resonated with me as far as U2 goes, who I feel like I should like because of their legendary status. But something just doesn’t work for me now, though I like their old stuff. @Morgan: I cannot say enough good things about Blake Mills. Just discovered his debut frfom 2012, and it is also excellent. If I had heard this album a little earlier, he might have climbed even higher on my list than he did! I was always right there with you on St. Vincent until this year. This was the album that changed my mind. She’s weird as hell, but she’s learning how to craft a pop melody. As for Lana, everyone either seems to love her or hate her. And which camp you fall into seems to depend on whether you’re a hipster (you hate her after an earlier period of loving her), an anti-hipster (you hate hipsters and you hate lana del rey because you mistakenly think the hipsters still like her), a counter-hipster (you hate hipsters without realizing you are one, and you like lana del rey, but only because you’re not supposed to), or a counter-counter-hipster (you find all of the above confusing and therefore default to whatever the hipsters enjoyed before they started overthinking everything). For the record, I fall in camp #4. I think.